t been done much before in cell phones. 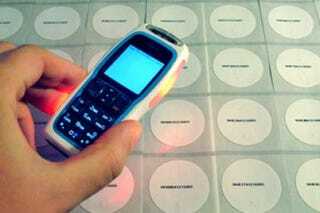 The company is including read/write RFID capabilities into a mobile phone. The phone seen here is the 3220 NFC prototype that is capable of reading any RFID tags and also writing to an RFID information tag. Very good idea, but come on, Nokia, at least make the phone look semi-cool.